After nearly thirty years, Lucille Campilongo’s beloved and well-worn household handbook, featuring over 30 authentic Italian family recipes, has been published and is available for anyone embarking on a new life of domestic independence. The manuscript lovingly penned in 1980 by a mother for her 19-year daughter departing for a year of study in Italy never had a chance to collect dust. Lucille Campilongos' handwritten survival guide has never been far from her daughter Gina's reach. "My daughter and son-in-law surprised me with a published version of a notebook I had written years ago for my daughter when she went to Italy for her junior year of college,” said Campilongo. “I was astounded that she was still using it, let alone having it published. My daughter Gina felt it was beneficial for anyone starting out on their own and having to fend for themselves." Known affectionately as "Lucia" by family and close friends, she penned the original 85-page manuscript in two weeks and presented it to daughter Gina at her going-away party. Before the time when communications and information had leaped into the technological age, Campilongo's documentation of her many years as an enterprising and proficient homemaker and accomplished family cook was equally about giving her peace of mind, as it was to guide daughter Gina in everything from cleaning house to recreating easy, authentic Italian recipes. “Being a typically concerned mother, whose daughter was leaving home for the first time, I decided to write some helpful hints and simple recipes that would not only benefit her, but also help calm my apprehensions,” said Campilongo. Click Here to View a New Video Just Released of Author Lucia Campilongo and her Daughter, Gina! “We’ve had it for twenty-eight years and are still using it in our kitchen, as we try to recall the various ingredients of particular dishes,” said Gina Campilongo-Friedman of Northern California, today a wife and mother with her own daughter away at college and a son in high school. “Last year, when it was time for our own daughter to leave for college, we realized that we were unable to pass down Lucia’s wisdom without giving up our beloved handwritten book,” said Campilongo-Friedman. While recording the manuscript into the family computer, there was an epiphany. “It occurred to us that if we were going to published it for our own children, why not publish it for everyone else who would need a practical helping hand setting up and maintaining a home and kitchen,” said Campilongo-Friedman. “We realized that there are all types of people who might not have the skills to manage their own home or apartment". 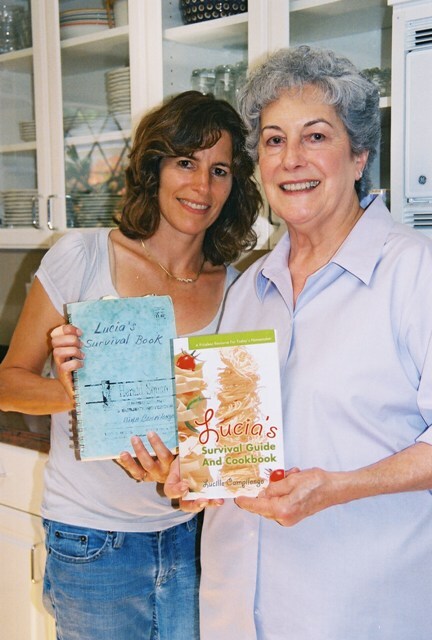 Campilongo-Friedman and her family realized Lucia’s guide was a helpful, non-intimidating book that could provide helpful household reference and delicious recipes for the novice cook. “It was clearly time to publish it for the benefit of our children and anyone else needing practical tips, a helping hand in the kitchen and some basics for getting themselves started on their own,” said Campilongo-Friedman. An ideal reference source for people in transition or for efficient tips on mastering household tasks, “Lucia’s Survival Guide and Cookbook” is one item in the home that will never need dusting. Not to mention those authentic family recipes. 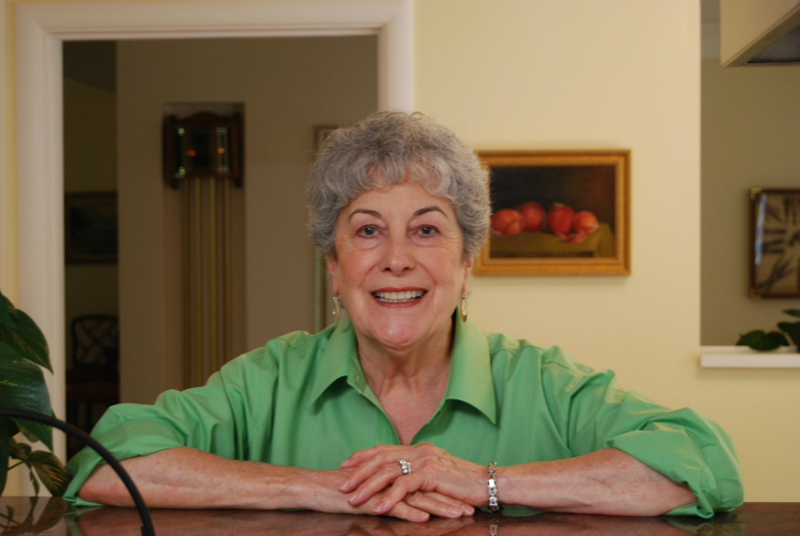 Written in her words, “Lucia’s Survival Guide and Cookbook” transports Lucille Campilongo’s voice and warm sense of humor to anyone needing or wishing they had a little motherly advice.